What a nice donation! Are you thinking you'll use the brights with the various grays? Maybe mix in a few bright solids? That is going to be SEW pretty!! 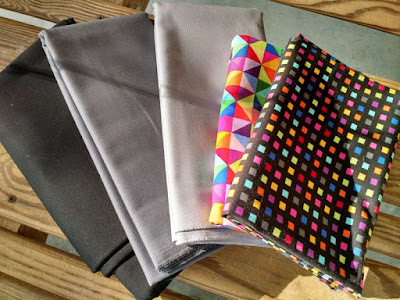 Those donation fabrics will be great with that quilt top. Have fun with the finishing! 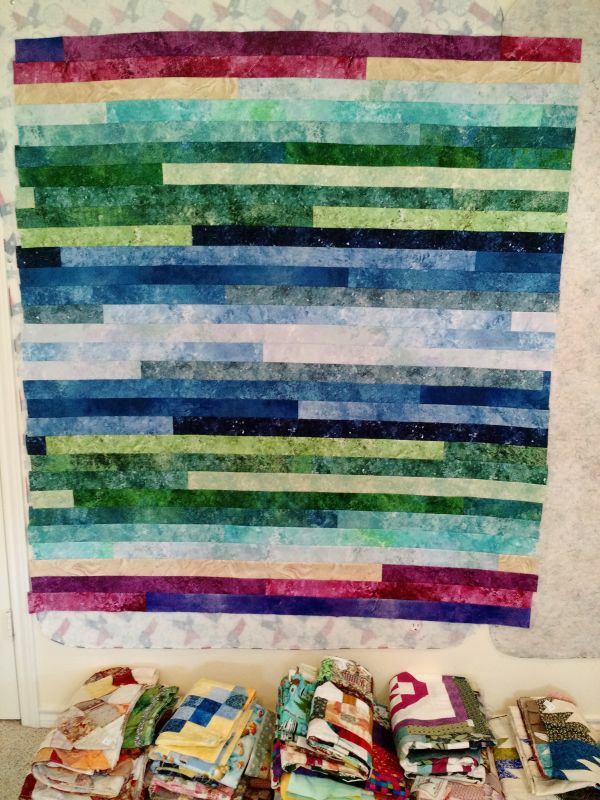 I want to try the simple jelly roll race quilt some day. Looking forward to seeing yours finished. Can't start on anything right now until I get one quilt finished for our Pastor & wife. Just need the border quilted & binding on & I'll be done with it. Hurray for donated fabrics! How wonderful of Northcott to donate all that fabric! That should keep you busy for a good long time. The jelly roll quilt is a beauty. I really really like those fabrics! Can't wait to see what you do with them.